DOHA, Qatar — Boeing is looking to triple its income over the next five years with an aim to reach $50 billion in annual business by 2025. This effort could see the company form new partnerships or acquire businesses to support European and Russian defense platforms. 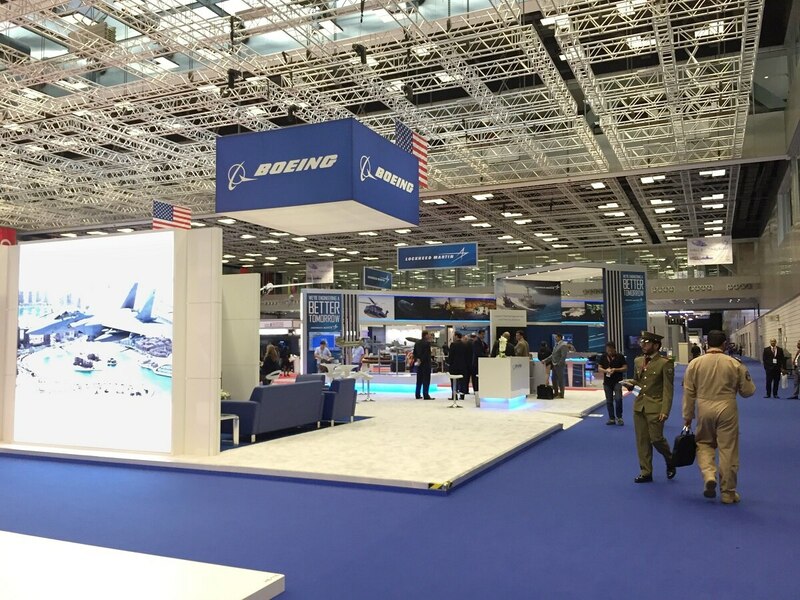 In a media briefing held at the Doha International Maritime Defence Exhibition and Conference in Qatar, senior Boeing officials described the company’s new partnership strategy as a means to accessing markets, creating unique capabilities and discovering new, innovative ideas. “We have an aggressive growth target coming from our leadership. Today we are about a $16 billion annual business, and our leadership is looking to drive us in the coming five years to be a $50 billion annual business,” said Howard Berry, the director of global sales and marketing for international government services at Boeing Global Services. “That’s an aggressive growth target, so we have a lot of work ahead of us,” he added. The company plans to grow by $200 billion in the next 10 years, with an increase of 50 percent in terms of total revenue. A key focus of Boeing Global Services’ new strategy is involves supporting aging platforms via upgrades, modifications and maintenance, especially considering “only 20 percent of military platforms will be retired in the next 10 years,” according to Berry. Boeing Global Services serves both the military and commercial markets, with a focus on services in engineering, digital aviation, analytics, supply chain logistics and training support. “There may be many cases where it makes much more sense for other organizations to lead and for Boeing to partner and bring expertise needed for the solutions,” he added. Boeing also sees unmanned technology as an area for growth. This is reflected in its acquisition of autonomous system specialists Aurora Flight Sciences and Liquid Robotics. “With Insitu, Liquid Robotics and Aurora Flight Sciences, we have tremendous capabilities both in the airborne surface and subsurface arenas that allow us to connect and collaborate in environments that we hadn’t been involved in previously,” said Gene Cunningham, vice president if global sales and marketing at Boeing Defense, Space and Security. He noted that Boeing is already seeing a “significant interest in the unmanned technology” in the Gulf region.